Nigel Marsh is best known for his creative pursuits. As well as the author of three books – Fat, Forty and Fired, Overworked and Underlaid and Fit, Fifty and Fired-Up – he is also the co-founder of Earth Hour and the founder of the Sydney Skinny. Fat, Forty and Fired is currently being developed into a major TV series. The other side to Nigel’s career is his 30+ years experience in the commercial sector. Over that time Nigel has worked with a huge variety of organisations. From the highest profile (McDonalds, Canon, Pepsi, P&G, Virgin, Mars, Fiat, Colgate), to national governments and local enterprises. Whether dealing with big business issues or social engineering (HIV, drink driving, smoking, climate change), Nigel has provided strategic counsel and impressive results in almost every category imaginable. The common threads running through all these roles are firstly, a deep understanding of what motivates consumers and how to influence their behaviour; and secondly, a keen understanding of how organisations should strategically respond, internally and externally, to the unique challenges they face. 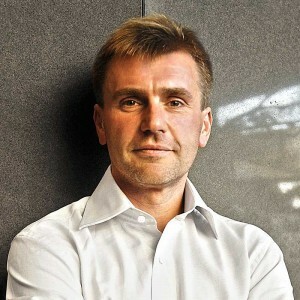 Since moving to Australia in 2001 Nigel has been National CEO of advertising agencies D’Arcy and Leo Burnett, Regional Group CEO of communications group Y&R Brands ANZ, Chairman of strategic and research consultancy The Leading Edge and Partner at management consultancy Growth Mantra. In his current role as CEO of strategic consultancy WEST82nd Nigel helps leaders gain clarity, alignment and momentum regarding their Vision, Values and Purpose. Bringing this to life and embedding it throughout their organisations ensure everything their company says and does is consistent with, and authentic to, that purpose. Brand Blueprints are then produced to serve as clear and actionable roadmaps to maximize commercial returns. Nigel is also a proud ambassador of the Australian Indigenous Education Foundation. Highly in demand as a public speaker Nigel travels the globe regularly giving speeches to major corporations on both his business and personal views. His TED speech on work/life balance remains the most viewed ever given outside of America with well over four million hits. His internationally acclaimed podcast The Five Of My Life can be found here .